Dr. Peter Wilf is a Professor in the Department of Geosciences at Pennsylvania State University. After graduating college from the University of Pennsylvania, Peter spent a few years teaching math and science in a middle school and then spent some time as a professional performing musician. He then entered the academic research world, receiving his PhD from the University of Pennsylvania and subsequently completing a postdoctoral fellowship with the Smithsonian Museum of Natural History. Peter also served as a Michigan Fellow and Visiting Assistant Professor at the University of Michigan before joining the faculty at Penn State. Peter is here with us today to tell us about his journey through life and science. After an eclectic and non-geological undergrad career (B.A. Penn 1985), Peter spent three years teaching junior high school in New Jersey and then four years freelancing with his guitars in West Philly. He discovered geology and then paleobotany at the early age of 29 and never looked back. Peter somehow moved from the street, almost literally, onto the doctoral track in Penn Geology and defended in 1998. 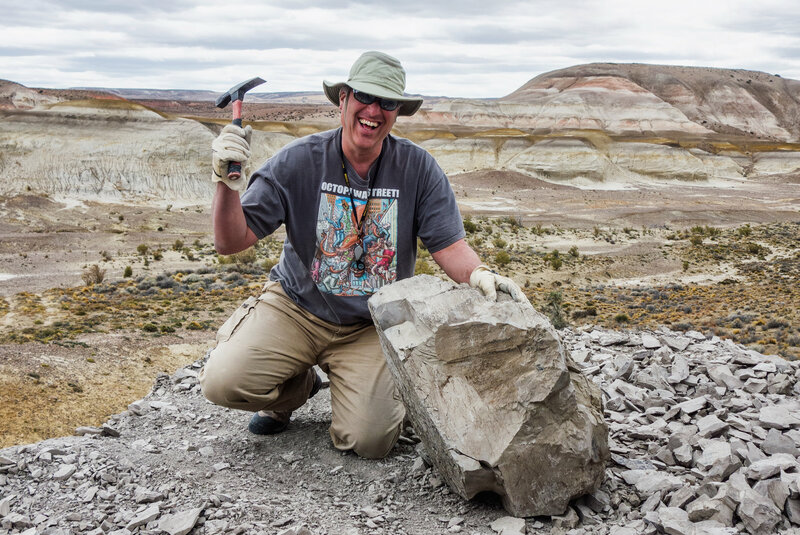 Most of his thesis research was done in residence at the Smithsonian, on megafloral and paleoclimatic change across the Paleocene-Eocene boundary in southern Wyoming. During this time and in an ensuing Smithsonian postdoc, he began developing two major subsequent themes of my research: the fossil history of plant-insect associations and the unbelievable riches of Patagonian fossil floras. Dr. Wilf spent three terrific years at Michigan, 1999-2002, as a Michigan Fellow and happily joined the Penn State Geosciences faculty in 2002, where he has been developing these and several other wonderful research projects with his students and colleagues all over the world.